If you’ve ever considered specialty flooring for your outdoor spaces, you may have considered tiled patios and porches. While there are many materials on the market to cover these particular areas, tile adds an exceptional depth and value that many homeowners don’t consider from the beginning. In fact, you might not have even considered it at all, and that’s why we’re here to discuss it now. About Floors n’ More hopes to not only meet our customers unique needs, but to exceed them as well. As a locally owned business serving the areas of Jacksonville, Atlantic Beach, Ponte Vedra Beach & Neptune Beach, FL, we offer a one-stop shopping experience for all your flooring needs. We invite you to visit us at our Jacksonville, FL showroom, and allow us to show you exactly how we can help you find the perfect flooring, no matter which spaces you need to cover. There are some great reasons to consider tiled patios and porches, and we’d like to share a few of them with you now. One of the most important, especially as an outdoor material, is the fact that they are strong and thick. This means a lot, considering the types of traffic that will be coming and going. The harder the tile, the longer it takes to wear out. This means you’ll get a longer life span, and ultimately, more bang for your buck. 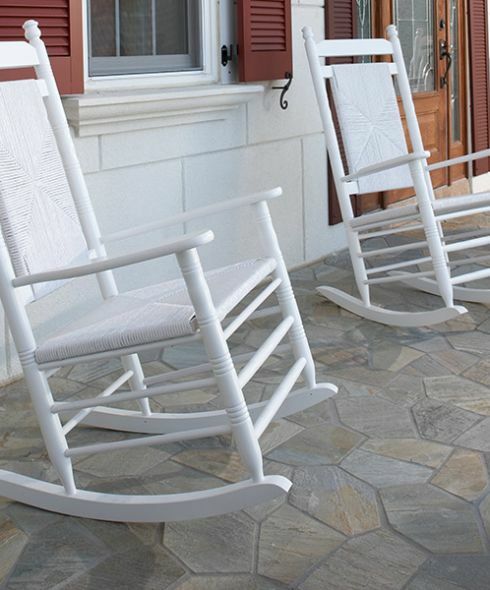 Stain resistance is a must for outdoor spaces, and you’ll definitely get that with tiled patios and porches. Some materials are, of course, better than others are, but tile is a great material for this purpose. The non-porous surface means it’s much easier to clean, so stains don’t stand a chance. While stain resistance is important, it might be even more important that this is a product that is also very resistant against mildew and mold. Outdoor spaces are often damp and wet, which can be a breeding ground for these substances. However, tile doesn’t allow those substances to get started. For this reason, they are as beneficial to health, as they are durable and gorgeous to look at. Slip resistance can also be added to the tiles used in these outdoor spaces. This is a great option for households that have small children or elderly persons. For even more information about all the amazing benefits of tiled patios and porches, be sure to stop in and speak with a flooring professional today.